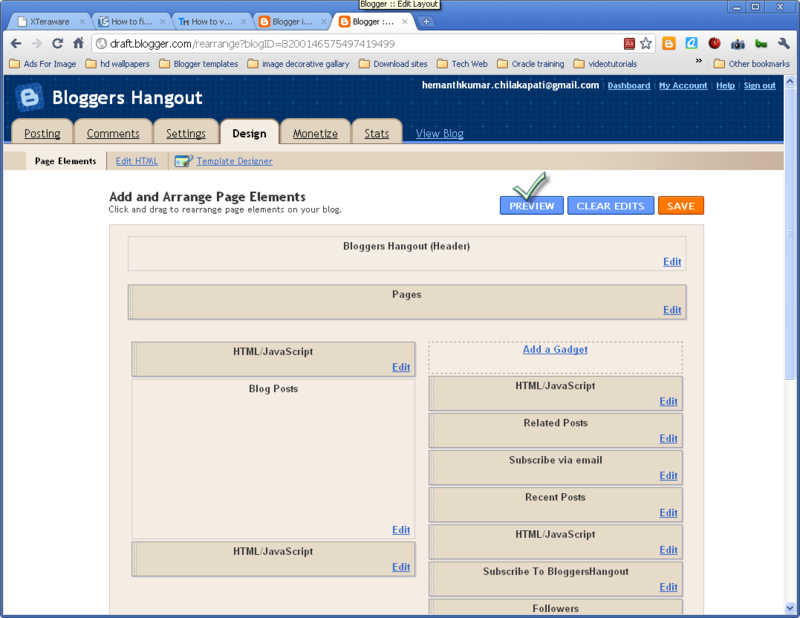 In this Blogger tutoiral, we will look at how to find RSS Feed URL or Atome Feed URL for Blogger Blog. 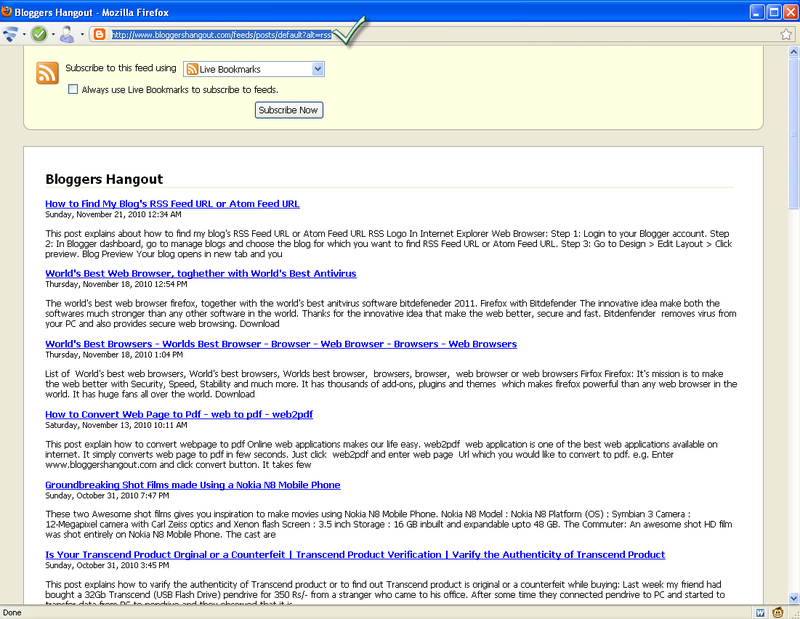 How to Find RSS Feed URL (Atom Feed URL) on Blog? Step1: Sign into your Blogger account. 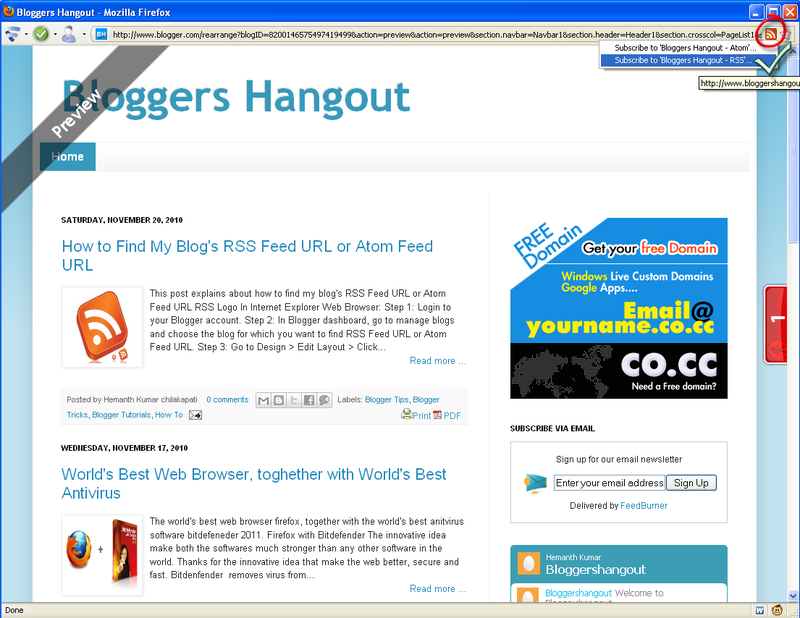 Step2: In Blogger dashboard, go to manage blogs and choose the blog for which you want to find RSS Feed URL or Atom Feed URL. 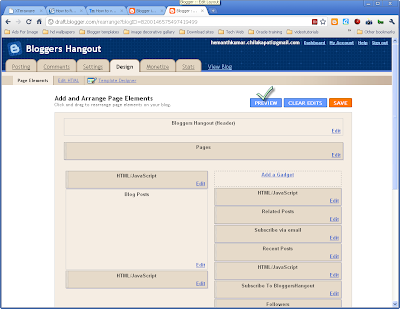 Your blog opens in new tab and you can observe feed symbol on firefox web browser at extreme right of address bar. Click RSS logo and then you can observe two lines as shown in figure. Then click the link where tick is marked and observe the screenshot provided below. 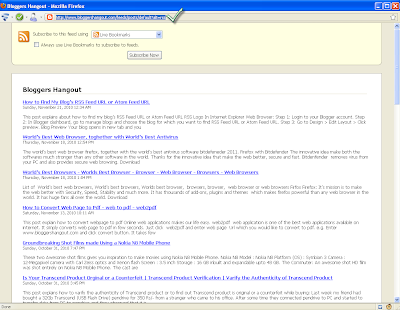 Select and Copy the URL which is called RSS Feed URL and repeat same for the Atom Feed URL from above screenshot. 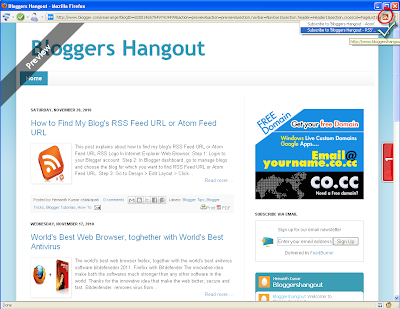 If you have any doubts about how to find RSS Feed URL or Atom Feed URL on Blogger Blog, please don't hesitate to comment.